Did you know that many adults share a common fear: the dentist. The number of patients that experience anxiety over visiting the dentist is a large one. However, with advancements in medicine, patients are able to be treated for their anxiety as well. This means more people can have healthier mouths and not have to worry about their fear of the dentist, sedation dentistry helps. This is achieved through “sedation dentistry” or sometimes, “sleep dentistry.” The sleep aspect is a bit of a misnomer as rarely are patients truly asleep. Most of the time they are awake and still able to interact and respond to dentists. This is because many procedures call for the patient to be able to respond to dentists requests, such as turning head. It should be noted these types of sedation go beyond the local anesthesia used to numb areas in the mouth. These sedations are medicines that affect a person’s mind and ability to process where they are and what is going on. Inhaled Sedation: this is the typical “laughing gas” that many patients associate with dentists. It allows patients to relax and sort of forget. It is not a full sedation and is allows the patient to recover (from the medicine) fairly quickly. This is idea for a patient that has to drive themselves home after a procedure. Oral Sedation: the dosage is determined by the dentist and prescribed so that a patient can take it a few hours before the procedure. General Anesthesia: this is where a patient is totally unconscious and cannot be easily awakened. Typically this is not needed for routine work nor for relaxing anxious patients. IV Sedation: This is medication administered through an IV where the dentist can adjust the level of sedation as needed for the completion of the procedure. 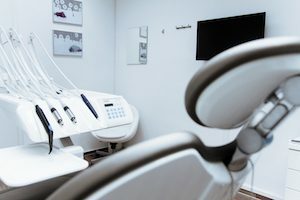 What is Considered Emergency Dental Services? What Will An Emergency Dentist Do?